It should not be surprising that these cookies have a crescent shape. Punch out round cakes with a glass and then fold them. 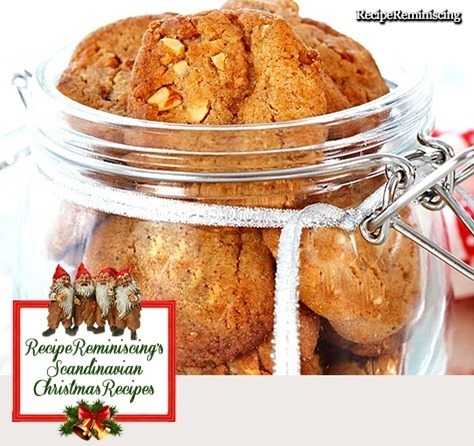 Fill the cookies with vanilla cream, jams or as here, with prune filling. 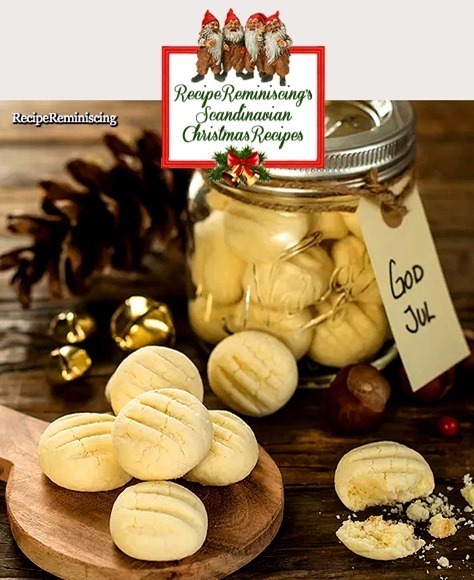 The dough gives about 40 cookies. 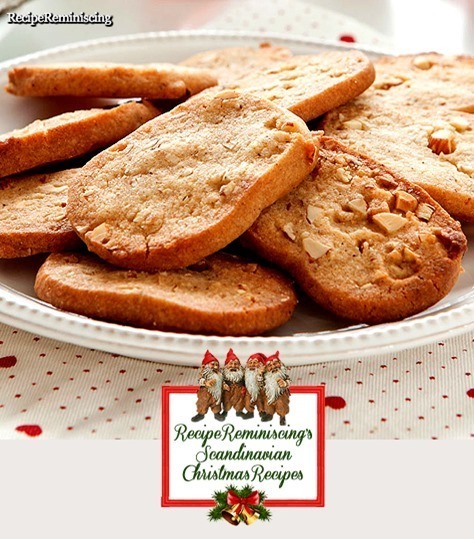 These are easy and quick made cookies to bake for Christmas. 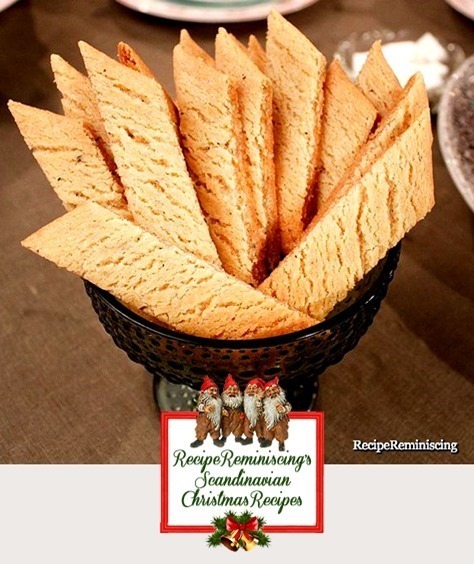 With their delicious spicy flavor, they are perfect for serving together with a delicious blue cheese or simply for dipping in the gløgg. Aristocrats are small finger thick and cylindrical almond cakes. The cakes are usually decorated by brushing them with eggs and sprinkling them with nib sugar. A portion of this recipe gives about 50 cakes. 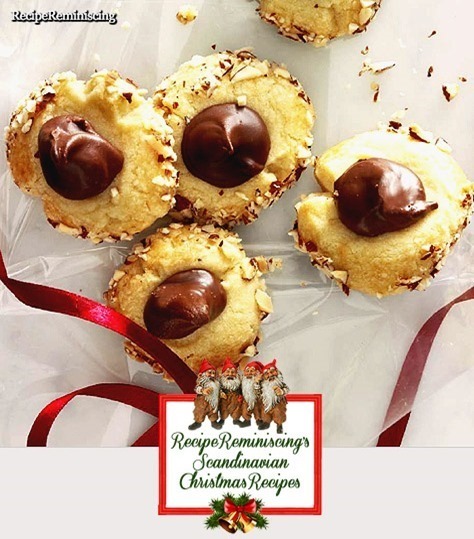 Looking for a Christmas cookie that is easy to make? 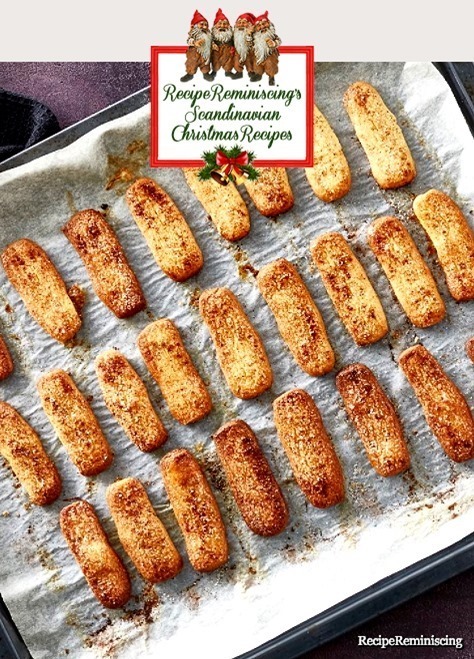 Then these cinnamon sticks are just the thing for you! 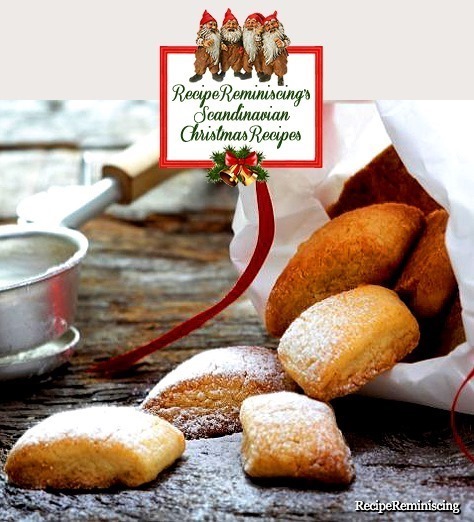 Mazarins are traditionally made with shortcrust pastry filled with almond paste and topped with white glaze, but there are many different variations with different fillings. 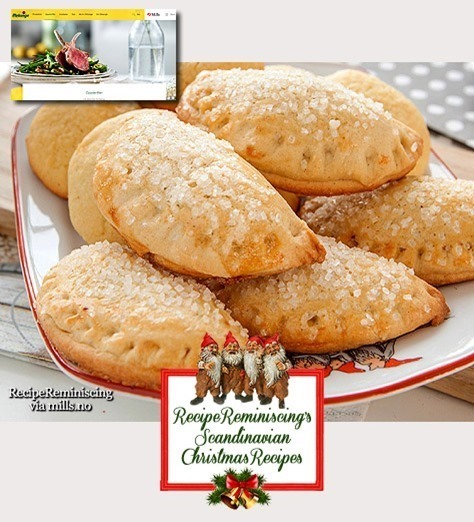 They are baked in small oval tart moulds. A portion of the recipe makes about 25 cakes. 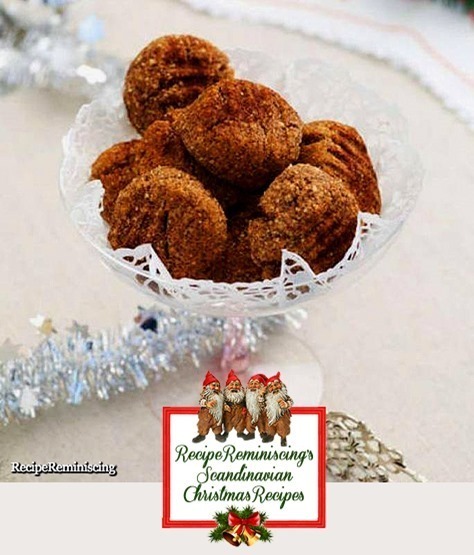 Sandnuts are in many Norwegian families one of the seven sorts of cookies one bakes for Christmas. 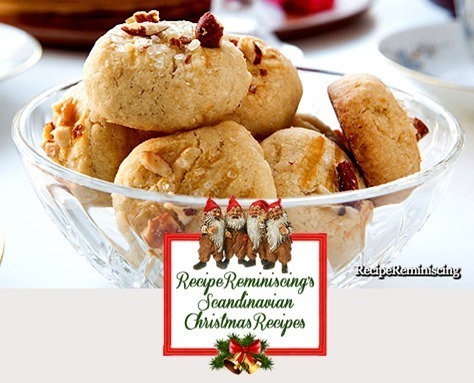 It is a light cookie with porous consistency that melts in your mouth. 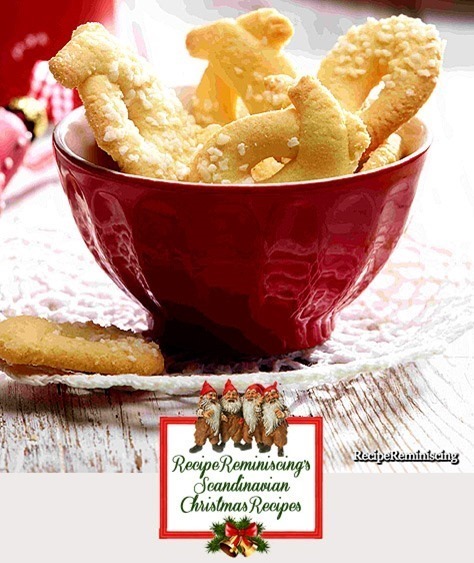 Make the sandnuts together with your family, for homemade is always best. 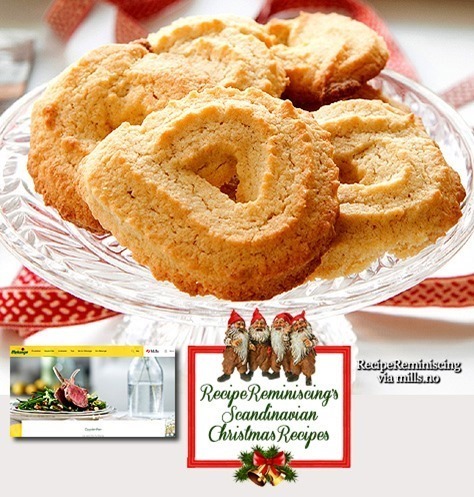 The recipe gives about 90 small cookies. 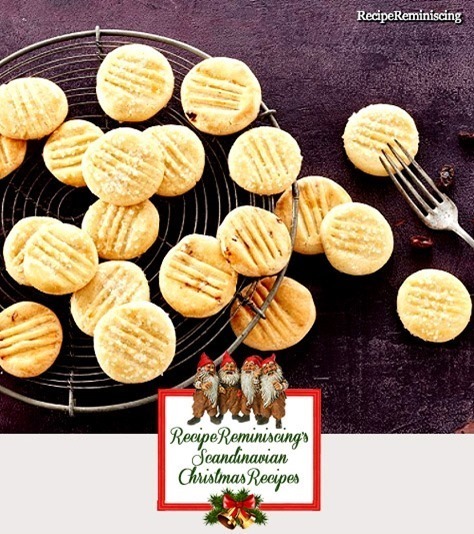 These small Christmas cookies freeze well and they thaw quickly. 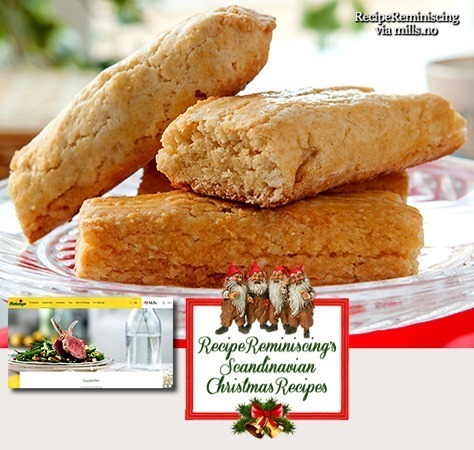 Perfect to pick out of the freezer when friends drop by at Christmas! 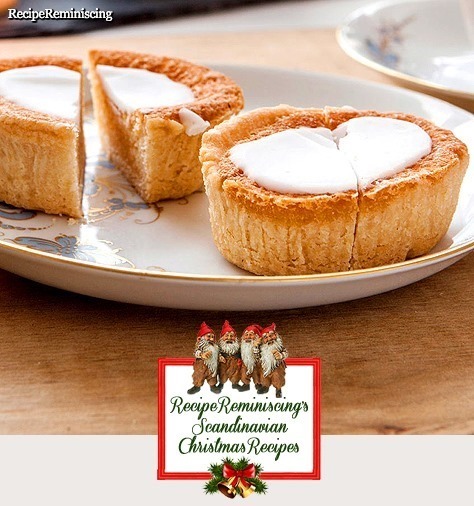 Lovely small cakes with a small dollop of delicious nougat on top. The recipe gives about 40 cakes.